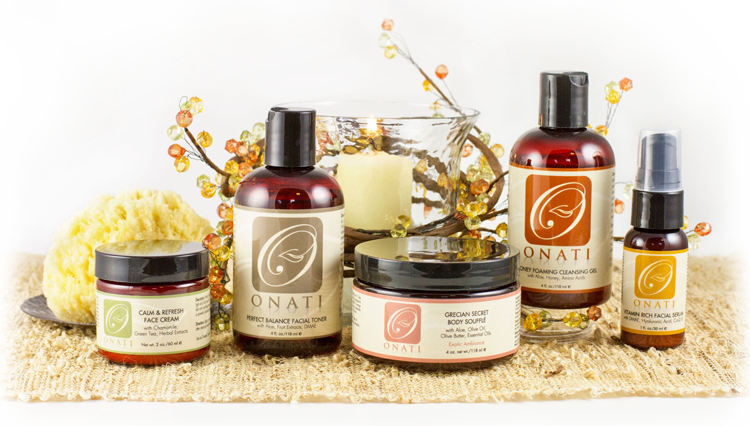 Are ONATI Skin Care Products All Natural & Organic? There is conflicting information dispersed widely across the internet within the skincare products industry and it is used by many companies to promote these same products using terms such as "All Natural" or "Organic", and it can be enough to make your head spin. There are some in their marketing campaigns trying to convince you that their ingredients remain in a natural state when added to their skincare formulas. However in the reality, if this were the case, they would now be working with contaminated and dirty ingredients which could actually cause harm to your skin health, and would be in direct violation of FDA regulations. Even though this sounds yummy and healthy, it is simply a ploy to convince you 'all natural' is good and anything else is bad. 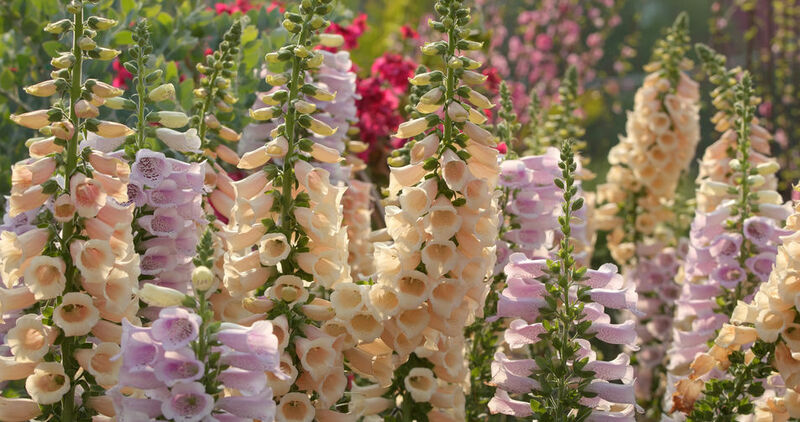 This is an example to show what is required for safe use of an 'all natural' ingredient: Foxglove is a beautiful plant known for "digitalis" which is an extract from the leaves and is used to regulate heart rhythm. Processed safely in a lab this is a powerful pharmaceutical and doses are carefully controlled. If this were to be eaten directly from the plant in its purest form, it then bears the name "digitoxin" and is extremely poisonous in it's 'natural' state, bringing about death. In fact Herbalists have abandoned its use due to being unable to control the doses accurately for therapeutic effect. This plant requires safe handling and processing to make the extract safe for use! Just touching it without gloves or inhaling pollens from the foxglove plants could have a cause and effect reaction, sending you to the hospital. Always make sure you keep pets and small children from the foxglove plant. To answer the question "is there a difference in all natural and organic?" The answer is "yes". The terms "organic" or "natural" are not interchangeable and have completely different meanings as they are used in different marketing campaigns. This is also why our ONATI Skin Care products are developed with consumer safety in mind using mainly organic, natural ingredients in combination with some synthetically derived ingredients for skin health perfection. But to claim that our products are "All Natural" would be nothing more than a marketing fallacy. And even though we used the analogy of digitalis, pharmaceutical drugs are not even remotely the same as topical skincare. That is why it is important to realize that applying anything "all natural" to the skin is not perfection and it may or may not cause an allergic reaction, or may or may not be a potential irritant. Not everything 'natural' will work for all people and only synthetically created skincare products will work for them, nor does "all natural" mean "safer" either. What Does "All Natural" Skincare Mean Then? 'Natural' means by literal definition, a plant or mineral which is unadulterated, unchanged, in its' original state. Since there is no governing body that regulates this term, it can pretty much mean whatever the manufacturer wishes it to mean. That is why keeping it completely "all natural" is not the reality with skin care products as this would produce a whole host of problems. Plants for instance would show signs of mold, possible contaminants, bacterial growth, decomposition and oxidation. In regard to minerals, you are now dealing with impurities found naturally in our soils and rocks such as lead, copper, arsenic and mercury. Only through laboratory manipulation can the impurities be reduced or removed depending on the ingredient, or the ingredient is recreated by utilizing synthetic processes as in the case for some minerals like those used in sunscreen lotions. Botanical ingredients will go through a cold process or steam distillation to gain access to their purified derivatives known as extracts or distillates, so that we may use them safely and enjoy the benefits they offer in a skincare formula. For instance, the otherwise toxic ingredient Lye, when mixed with vegetable oils will make a completely "safe" luxurious bar of soap, leaving no residual lye within the soap. However, it is important to realize that even with minimal processing for keeping the natural plant derivatives as close to their natural state as possible so we can retain most of the skin healthy properties we seek, it must also be understood they are no longer in their natural state. What Does "Organic" Skincare Mean Then? These are plants that are grown without chemical pesticides or chemical fertilizers. Again, these still must go through a process in order to make them ready for skincare products. They simply can never be used directly from harvest. (c) If it has been prepared, packed, or held under insanitary conditions whereby it may have become contaminated with filth, or whereby it may have been rendered injurious to health. Organic plant sourcing is only different to other plants by the method of how they are grown and offer the same extracts, oils, butters, distillates, tinctures or juices. They are also processed with steam distillation, solvents, or cold pressed. Nothing comes directly from the organically grown plant and placed directly in a bottle without proper processing, or at least it shouldn't be. We are about total safety, not just what is implied, and being all 'organic' does not keep the consumer safe from micro-organisms which can grow in a product, especially in skincare that is not preserved properly. The majority of our ingredients are of natural botanical origin and most of our skincare items are 80% to 95% organic and / or naturally derived. All ingredients are notated in parentheses including their INCI identifier. Katherine's philosophy is a belief that combining science with nature is the only way to provide a real complete skin health benefit for fighting aging and preventing further damage to delicate skin tissue. In order to protect and improve skin's surface, we incorporate synthetically derived ingredients to the overall organic formulas that are shown to actually have age defying benefits. We also utilize a small amount of the preservative, phenoxyethanol (.05%), in the overall formula ratio for protecting the integrity of the products against contamination, mold, fungi or bacterial growth for keeping your products safe even once they have been opened. Preservatives are what some natural skincare creators avoid wherby increasing the risk of causing detriment of their customers skin health, something we can't ignore. Afterall, skincare products that are properly formulated according to FDA Regulations is a safe skincare product and anything short of that is risky at best. So ignore marketing jargon that simply goes on the premise that 'all natural' is good and anything else is bad. We sincerely hope you'll give ONATI Skin Care products a try so you too can enjoy their wonderful skin healthy benefits.